The big winter deadline is October 30, 2015. There are 2 early closings on October 10, 2015: NN1 (VisitFlorida Magazine) and NY2 (T Magazine Holiday Issue.) This year as every year, we have media opportunities throughout the rest of the year and deadlines are included by offering. Also, we will be sending you reminders of media closing throughout the year like VisitFlorida does for its members. How much has the Discover Brand been stretched by Co-op Partners? Co-op participation has doubled each year since Fiscal 2012 from $100,000 to $200,000 to $400,000. Partner contributions have resulted in over $2,000,000 in targeted media buys. We are offering $800,000 in affordable opportunities for Fiscal 2016. How much do we really save? The actual amount of savings varies by program but some offer savings of over 95%. The Agency negotiates the media buy and Discover subsidizes 50% or more. Fellow partners contribute a minimum of 25% more. And members save even more than non-members. Each listing provides a detailed explanation of viewership/readership and what you can expect. Discover continues to offer generous opportunities for telling about your member property, product or service. How can I reserve a Co-Op I know will sell out? In the interest of fairness, media is sold on a first-come-first-served basis. To make things easier for you, you may order media online for the fist time. Like other Florida Destinations, we ask for a check number with your online order. We will do what we can to satisfy our members but the media confirmation is not complete until the check is received. Why is Discover Co-op online this year? It has been a goal of Discover’s Agency of record to expand co-op and make it available to Discover Members online. Discover Members requested the information online and wanted Discover to consider lowering expenses for printed sales materials. Discover has had some Co-op content online in past years. This is the most complete offering online. You ask. We deliver. Why is there Member and Non-Member Pricing? There are many benefits to Discover Membership, this is just one more – and it’s a good one. To join and save contact Heather Andrews by clicking membership in in the contact area. Who is operating this site? 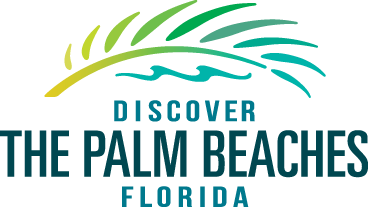 The site was created by the Media Agency of Record, TAG Advertising, on behalf of Discover The Palm Beaches. Like most other co-op sites for Florida DMOs, it represents the interests of the organization, but is executed by the Agency of Record. Why is the co-op media sold by market? The media opportunities are made more affordable, successful and trackable when we use our top fly and drive markets. Affordable Niche, National and International opportunities are also available. Why can’t we check out online? Or just pay Discover The Palm Beaches? These transactions involve County collected taxes, the agency collects paper checks from our partners to ensure excellent public documentation for each transaction as required under contract to satisfy Discover, the TDC and the County. You may order online. But payment is accepted in the form of a business check. This system is used by most of Florida’s DMOs. Who do I talk to about the programs? Fran Vaccaro is well versed in this year’s co-op offerings. Please click on “Contact” to reach out to her by phone or email. Why doesn’t the 2016 Co-op include a previously offered program? A small handful of programs that did not sell have been removed to make room for new Air Lift and Drive Markets. After successful tests and programs in New York, Boston, Orlando, Atlanta, Washington DC, Miami and Fort Lauderdale, we are proud to offer new or expanded Co-op programs in all of these markets for 2016. If you were hoping to participate in a program that is not offered, we would like to hear about it. United We Brand!